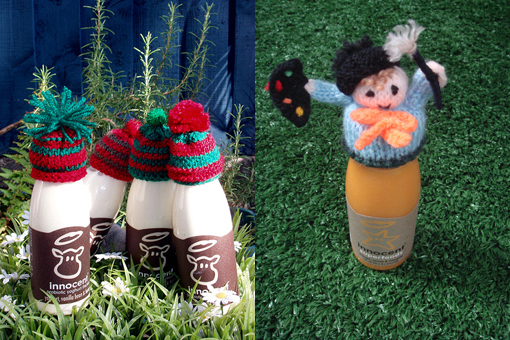 Knitting little woolly hats for Innocent little smoothies? Sounds at bit strange, but then again the hats look cute and it is for a good cause: to raise funds for Age Concern to support older people in the winter months. 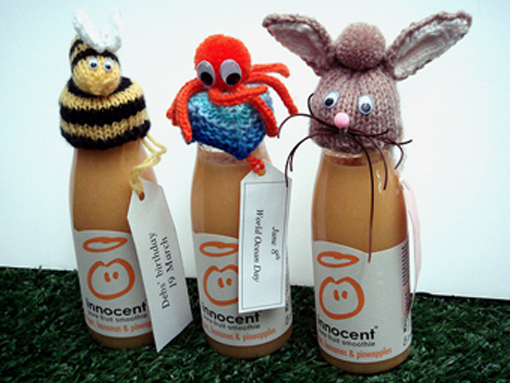 The Innocent bottles with the hats on top are available in Sainsbury’s and for each hat-wearing smoothie sold, Innocent and Sainsbury’s will donate 50 pence to Age Concern.